In partnership with Voluntary Action Sheffield (VAS). Pay as you Feel / £5 Suggested Donation. This ticket covers all sessions from 1-7pm, so you can go to as many as you like, or just one that you're especially interested in. 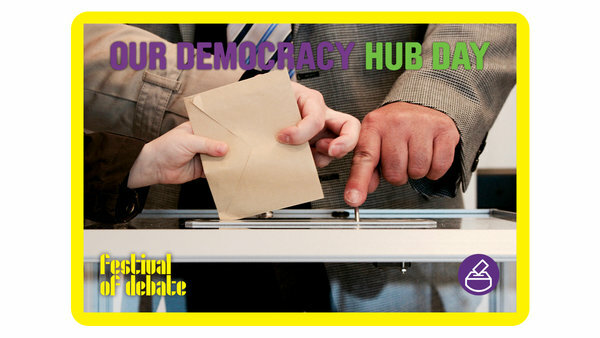 The Festival of Debate Our Democracy Hub Day explores some of these unheard voices - as well as the mechanisms by which those voices are able to engage in the democratic process - through a series of concurrent workshops and panel discussions. The day will culminate with a high profile panel discussion on new forms of local democracy.